Coolsculpting Fire & Ice Fat Removal Program is the combination of two distinct treatments. The first step (the ice part), involves killing fat cells by freezing them, a process called cryolipolysis. We use the new Coolsculpting Fat Removal system to freeze and remove your fat cells. The second step is the ‘fire’ part of “Fire & Ice Fat Removal”. It uses our RF Smartscan Gentle Skin Tightening device. By delivering radiofrequency (RF) to the treated area the treatment heats the collagen below the skin causing it to tighten and regenerate. This helps contour and smooth the skin especially after the fat has been released from your fat cells. The treatment promises to tackle not just fat but also loose and saggy skin. In other words you will see the inches disappear more rapidly but also the skin become tighter and smoother. This is remarkable! Coolsculpting Fire & Ice Fat Removal is available exclusively at Buffalo Laser Spa, also known as Buffalo Skin and Laser Center. The NEW Fire & Ice Fat Removal Program utilizes two cutting edge technologies. You will remove more fat while tightening your saggy and loose skin from those stubborn areas of the body! Love handles, stomach, pooch, under chin fat, arm fat, and bra line fat. This new technology is the Advanced Solution to complement almost any type of fat removal. As your body eliminates your fat in the targeted areas your skin can become very saggy and loose. Including RF skin tightening with the Fire & Ice Fat Removal Program helps tighten and smooth your saggy and loose skin. Coolsculpting and RF Smartscan Gentle Skin Tightening have proven in studies when used in combination will enhance your fat removal. 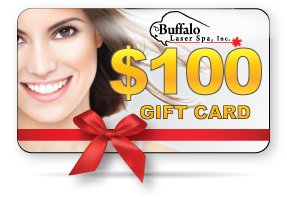 Join Buffalo Laser Spa “Fire & Ice Fat Removal Program” to remove your unwanted fat! We combine 2 methods of technologies to deliver dramatic results, without surgery. Our system is the complete, clinically proven, non-surgical solution to total transformation! It’s more affordable than you think. Real results – less than half the cost of liposuction with no risk, no trauma, no downtime, no surgery. What are you waiting for? You’re cheating yourself if you do not use Coolsculpting Fire & Ice Fat Removal at Buffalo Laser Spa! Our prices are very competitive to our competitors but we are giving you a skin tightening treatment included with the Fire and Ice Program. Call us at (716) 817-5544 for your free consultation or fill out the form and let our fat removal body contouring experts design a “Fire & Ice Fat Removal Program” custom plan, just for you.